What's Happening At Resource | Resource Financial Planning, Inc.
We Teamed up with KGW for The Great Toy Drive! 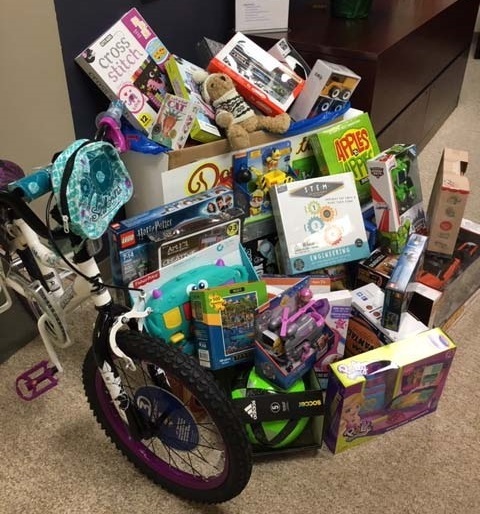 Resource staff and clients donated generously to this year's Great Toy Drive, collecting toys for less fortunate families in Oregon and SW Washington. 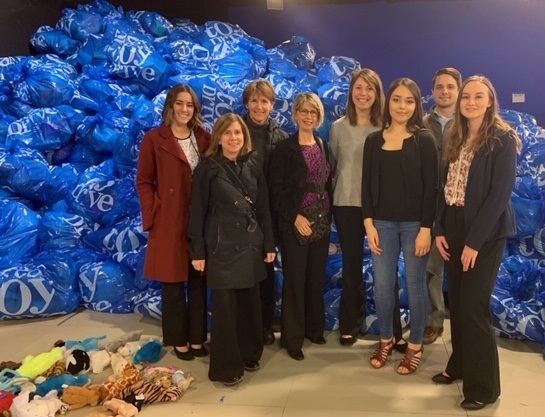 On Friday, December 14th, the Resource team bagged up all the toys and games and headed downtown to the KGW TV studio to complete the mission. The studio was buzzing with volunteers sorting through the thousands of donations destined for children in need, this holiday season. Stopping for a quick picture in front of the big blue mountain of toys, we happily added our collection to the impressive pile. We thank all of our generous donors for helping to make this a successful event benefiting our local community! On October 11th, 2018 from 7-9 pm, Resource Financial Planning hosted clients for an evening of presentations by Fidelity Investments and BlackRock at the Crowne Plaza Lake Oswego. Clients were welcomed to the Plaza ballroom by their financial advisors and quickly settled in for the evening with drinks, hors d’oeuvres and an assortment of desserts. The evening was kick-started with a presentation by Fidelity, “Investment Themes for 2018”. Then, Rob Kron, of BlackRock brought humor and entertainment to the topics of Social Security and Medicare. In between chuckles, clients learned critical tips on filing strategies for Social Security along with great information on applying for Medicare. At the conclusion of the event, clients had the opportunity to ask questions and chat with their advisors. With the ballroom filled to capacity, it reconfirmed our mission to educate clients with practical, financial information. Click Here to view all of the event photos! Resource Financial Planning celebrates 35 years of service to the community! On Saturday, October 7, 2017, from 7pm to 9pm, Resource Financial Planning celebrated our 35th Anniversary with an awe-inspiring movie at OMSI’s Empirical Theater. The turnout was marvelous for this joyous occasion. Light hors d’oeuvres and drinks were served before the movie while clients mingled with each other and their advisors. After all had moved into the theater, the advisors officially thanked clients for their long tenure with the firm. The highlight of the evening was a private screening of the film, Dream Big. With its inspiring stories of human grit and aspiration, and extraordinary visuals for the world’s largest screens, Dream Big revealed the compassion and creativity that drives engineers to create better lives for people and a more sustainable future for us all. After the movie, there was a sampling of desserts and lively conversation. We were gratified that so many clients were able to enjoy this festive occasion with us. We love showing our appreciation to our long-time and new clients, and look forward to continuing to serve our community for many years to come.